Borrowers have many options when financing investment property and commercial real estate. The first thing to consider when looking at financing options is whether a property qualifies for a commercial or residential loan. There are important differences to understand between commercial and residential financing. Residential loans are for single family homes and 2-4 unit multifamily properties. All other property types such as 5 or more unit apartment buildings, office, retail, industrial, land, and mixed-use properties will require a commercial real estate loan. Here are some important considerations to account for when looking for commercial property financing. Commercial lenders generally require a borrower down payment of around 20% to 40% of the purchase price. The higher down payment compared to most residential loans is to further protect the lender from borrower default. Commercial loans carry more risk and lenders want to protect themselves with higher down payments and lower loan to value ratios. Most residential lenders will ask borrowers to put 20% to 30% down when financing investment property with a residential loan. The higher down payment compared to owner occupied residential loans is because investment properties involve more risk for the lender. In residential financing the lender can also require PMI or personal mortgage insurance that offers the lender protection in the event of default. PMI is not available for commercial property financing. Commercial loans are based on the property income or income of the business entity purchasing the property. Lenders underwrite residential loans based on the individual buyer’s income and ability to personally make the loan payments. Lenders are less concerned with an individual borrower’s credit when making a commercial loan. A lender will focus more on the property or business entity income to support the loan repayment. Commercial lenders look at the property debt coverage ratio, which is the ratio of property income compared to the loan payments. The annual property income should exceed annual loan payments for a loan approval. A debt coverage ratio of 1.25 or higher is viewed as favorable, meaning income exceeds the loan payments by 25%. Many commercial and residential loans are known as non-recourse, meaning the lender may not come after the borrower or lending entity directly for full repayment. A lender’s protection is the value of the property as collateral for the loan. If the borrower defaults, the lender may foreclose on the loan to take possession of the property. A commercial lender may require a full recourse loan on higher risk properties and borrowers. Full recourse loans have the business or a business entity guaranteeing full repayment. An individual may also need to sign a personal guarantee for the lender to approve the loan. If the borrower defaults the lender may pursue collections directly with the business or individual guaranteeing the recourse loan. Investment property types with high risk profiles such as new construction and land development may require recourse loans. New borrowers without much of a track record or business history may also need to sign a personal guarantee on commercial loans. Commercial loan terms can vary much more than residential investment property loans. The popular 30 year fixed residential mortgage is not an option with commercial properties. A few common features of commercial loans are stated here due to the wide variations in loan terms. Commercial real estate loans typically have much shorter terms of 5 to 10 years. At the end of the loan term the full balance is usually due in form of a balloon payment. Investors will often sell or refinance commercial property 5 to 10 years after purchase and commercial loan terms reflect these timeframes. Commercial loans may have interest only periods and are more likely to have adjustable rates with an initial fixed rate period. Prepayment penalties and yield maintenance are some other common commercial loan provisions. Interest rates are generally higher on commercial loans compared to residential investment loans. A benefit of commercial financing is the flexibility in loan terms depending on the property type. The residential loan pre-approval process is fairly straight forward when purchasing an investment property. The borrower submits recent tax returns, proof of income, and authorizes a credit report to receive a lender pre-approval letter for a specific purchase amount. The commercial loan pre-approval process is not as defined. Commercial lenders issue term sheets outlining the offered loan terms after a thorough review of the borrower and property. 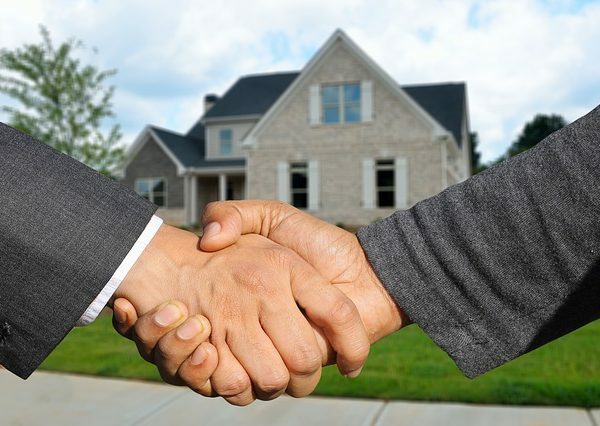 Having a good relationship with a commercial real estate lender is important and often key to executing on some other core real estate investment principals. A potential borrower can start with contacting the primary bank they do business banking with to discuss commercial property loans. The borrower already has a relationship with their primary bank which helps with moving the process forward. Large banks in the US like Bank of America, Chase, Wells-Fargo, and Citibank are all active in commercial real estate lending. Many regional and local banks offer commercial real estate loans in a variety of different markets. A borrower can also work with a commercial loan broker to see what lenders are offering the best loan terms. New internet lending marketplaces have recently formed to better match together borrowers, lenders, and loan brokers. CrediFx is one of the larger companies connecting commercial real estate buyers with different lenders for a variety of commercial property types. Commercial real estate brokers can also be good sources for commercial real estate financing information and lender recommendations. Obtaining financing for a commercial property is a longer and more in-depth process than residential property financing. A potential borrower should start working with commercial lenders very early in the purchase process to understand what financing options are available.